Holy Fire rockers return for massive Spring tour. Reckless and exhilarating, Oxford indie superstars Foals are back! Secret Sounds are thrilled to announce the return visit of this acclaimed Mercury-nominated band, who'll head to Australia in September for a huge national headline tour. In the country earlier this year for the Big Day Out, demand for tickets saw Foals sell out two intimate Sydney club shows in less than 10 minutes. On their 2008 debut Antidotes, Foals' effortless techno reflected one rule: Yannis, Jack, Walter, Edwin and Jimmy wanted guitar music they could dance to. 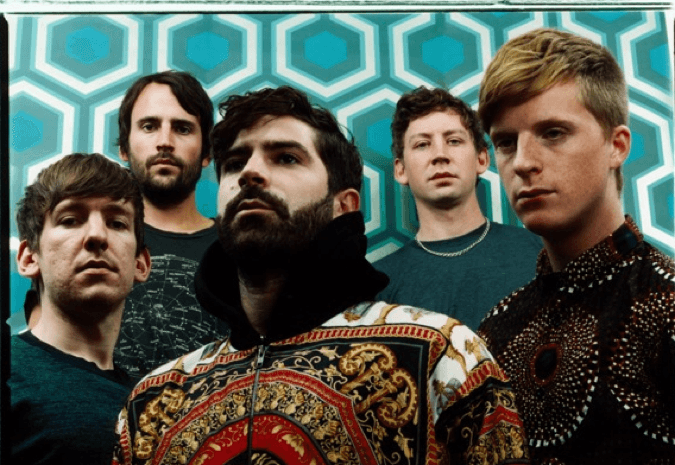 Two years later, Foals unveiled the Mercury shortlisted Total Life Forever (which included widescreen masterpiece "Spanish Sahara") In February 2013 delivered their finest album yet: Holy Fire. "We wanted a record that was all gut," says frontman Philippakis. "The mission we set was to get freer. The focus was on the emotion: from our hearts and our hands, into the instruments and the microphones, then out of a speaker, six months later - and into your ears." With their reputation for ferocious and savage live shows well familiar to Aussie fans, demand for Foals tickets will be high - get in quick! Tickets will go on sale 9am, Monday 18 March.